WWDC 2012 is right around the corner. Only a couple days until the keynote! You can follow along with various live streams/blogs. I found several live streams, but it doesn't seem like Apple is planning to actually stream the event, so the live streams will probably be just coverage of the keynote. 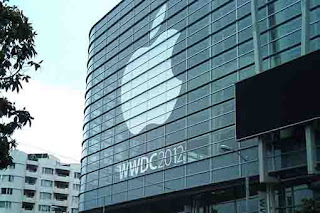 Here are some links to live coverage streams: AppleKeynotes on Ustream, MacBreak Weekly, Apple Fan Site on Ustream, gdgt live coverage. There are also a number of live blogs, as usual. Here are just a some of the ones I found: MacRumors Live, WWDC 2012 Live, The Verge, Gizmodo, Cnet, and AppAdvice. I can't wait to tune in to these streams/blogs for the event! Update (6/11/12 10:15 AM): I missed one liveblog: Engadget. The best one so far...almost updates in live time.